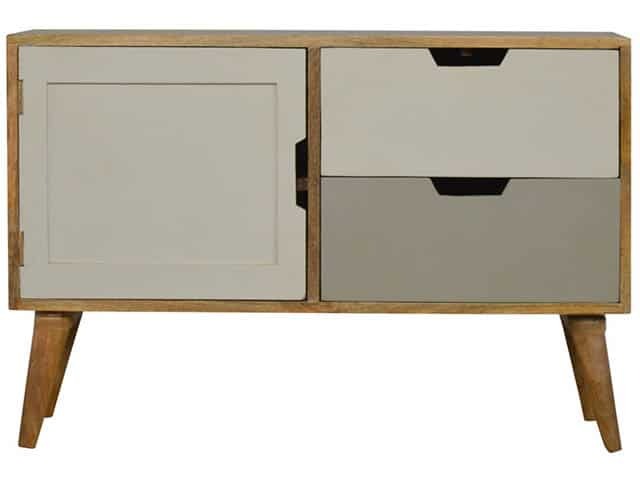 This Painted Grey Media Unit will bring a whole new look to your home, with its modern beautiful design. 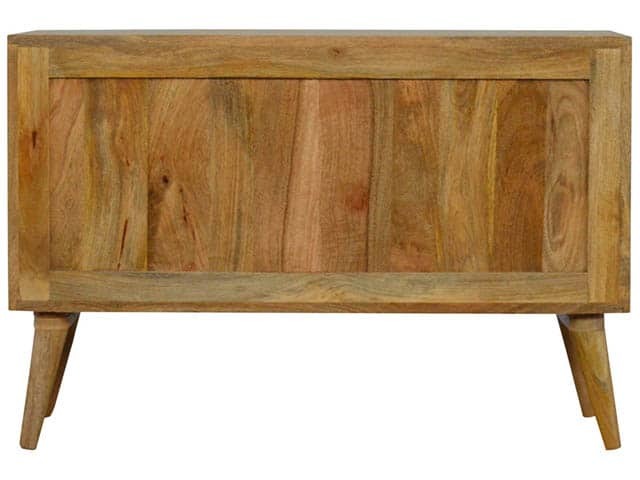 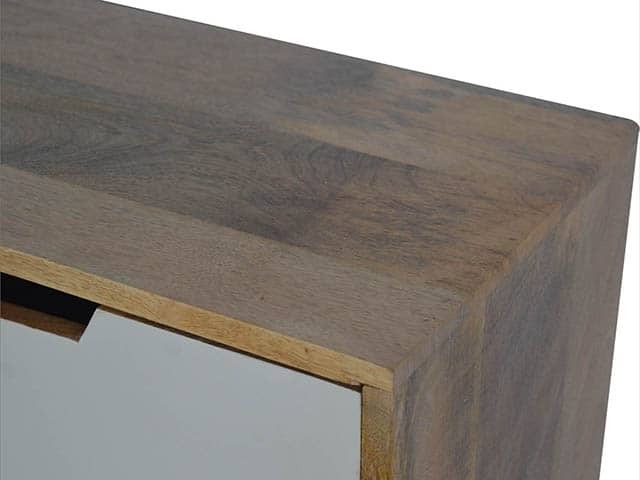 Constructed from 100% solid mango wood with a fine smooth oak-like finish. 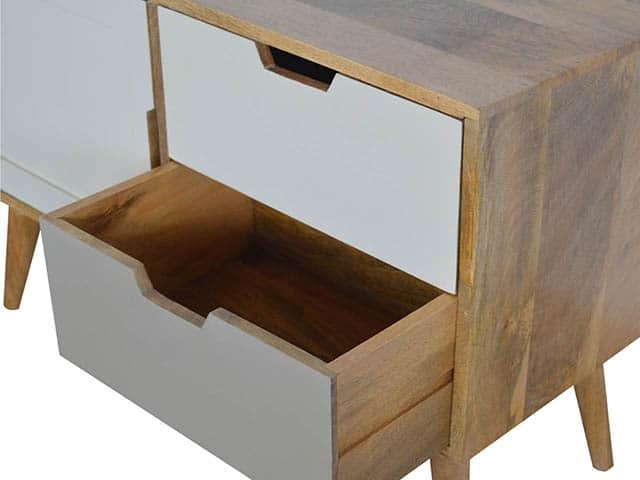 Useful storage space available with cut out drawers and 1 cut out door. Drawers individually hand painted in 2 tones of grey. 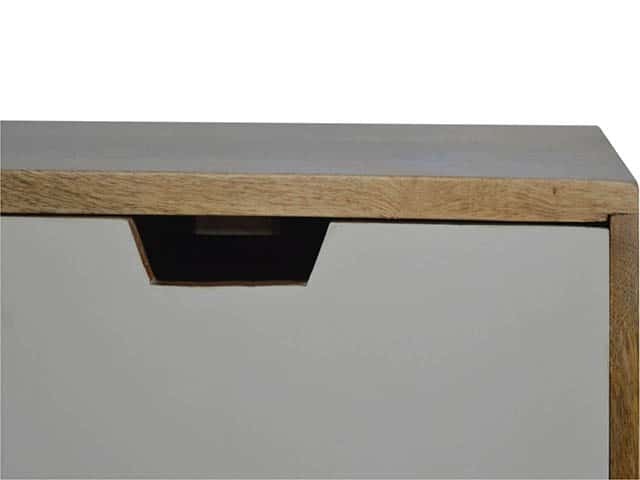 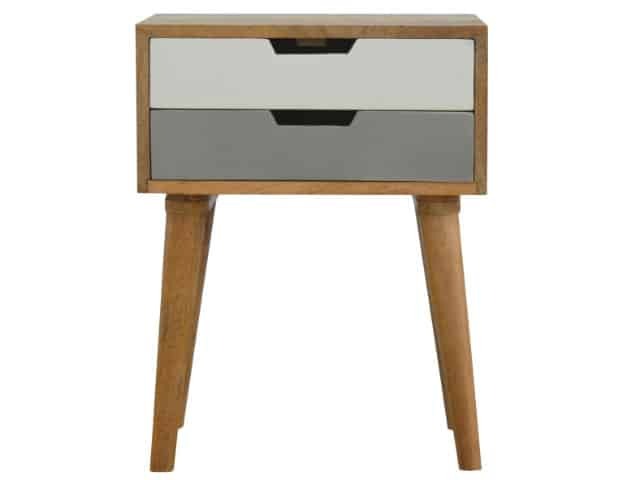 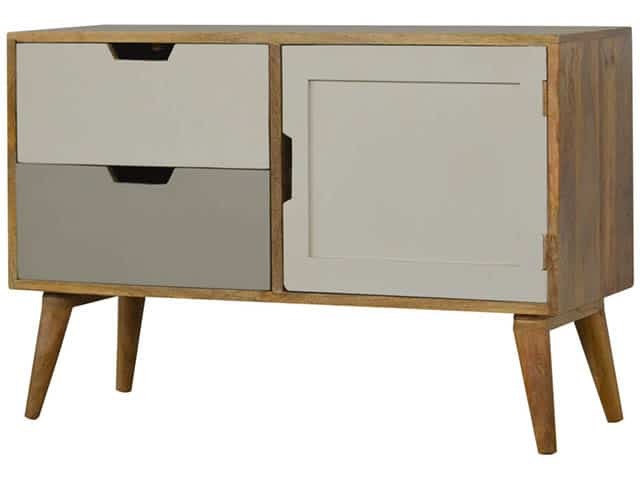 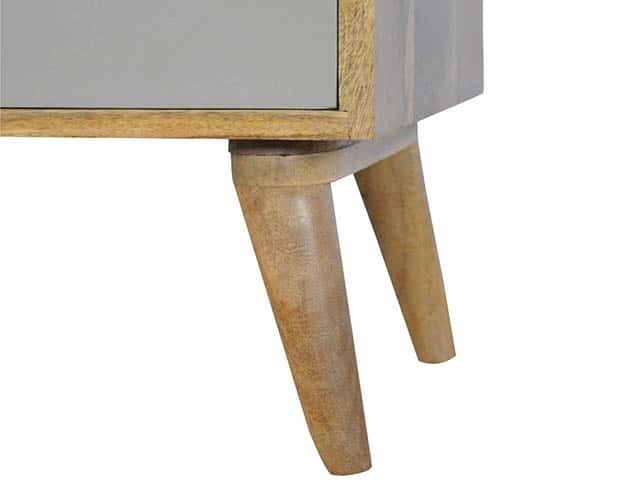 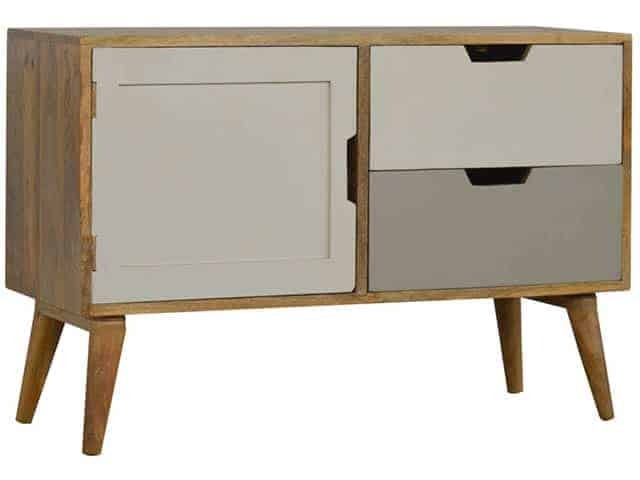 This Nordic Style Painted Grey Media Unit also features 4 Scandinavian styled legs.